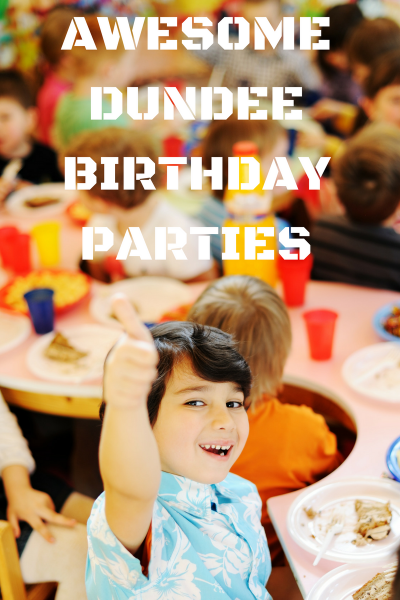 Are you looking for a different birthday party idea this year in Dundee, Perth, Tayside and Fife? Prepare to have a blast at Combat City tactical laser tag, based at ScotKart Indoor Kart Racing in Dundee, just off the Kingsway, by the new ASDA. Dundee Laser Tag Birthday Parties at Combat City bring all the excitement of popular video games like ‘Call of Duty’ and ‘Battlefield’ to a life, instead of playing a game, you are playing for real. It gets the kids off the couch, away from the screens, and actively moving around the huge arena. To succeed they have to communicate, create strategies, and work as a team, which makes for a highly successful birthday party, which will be remembered and talked about for a long time. When you have your birthday party at Combat City laser tag arena, an experienced, professional event coordinator will prepare your private party room and coordinate your event details. Our professional staff can ensure that your laser tag birthday party experience at Combat City will be fun and stress-free! Combat City Dundee is Scotland’s largest indoor combat laser tag facility. At Combat City we guarantee a totally unique and innovative gaming experience. In addition it’s the only arena to offer a choice of taggers, with 4 different models available. If you’re looking for an out-of-this-world birthday party, Combat City is the place to be! Our party packages include large freshly baked margarita and pepperoni pizza to share, hot dogs and unlimited juice refills. All you need to bring is the birthday cake and candles, we take care of the rest. Tactical laser tag offers the same realistic mission based game play as paintball and airsoft, but without the bruises and pain of being hit by projectiles, masks steaming up, and players cheating. Laser combat offers a hi-tech alternative to both paintball and airsoft birthday parties in a safer and more enjoyable enviroment for everyone, at all ages. Firing foam darts from a toy gun is never going to compare to the latest most advanced laser tag equipment, built to a military grade specification. Nerf guns fire a foam dart, which bounces off you, no hits are registered, players are unaware they have been hit, and the potential for exciting team games is pretty restricted, compared to the huge games menu available at Combat City. 5. Approx. 60 minutes in the arena playing at least 4 or 5 team based missions. 7. Party food – large pizzas to share, hot dogs, and unlimited diluted juice. 10. All you need to bring is the birthday cake, candles, and possibly party bags if you wish. Minimum 8 players for birthday party package. All games are ‘open play’ unless exclusive use is paid for, 20 players. Combat City is recommended from 8th Birthday Parties upwards, with ages 7+ playing. We have different missions, and sizes/weights of taggers for different age groups, whether they are 8-12, or teenagers aged 13 upwards. There are many reasons to have your birthday party at Dundee’s premier tactical laser tag facility. Grab your family and friends and enjoy a day filled with action-packed fun! Ready to book your laser tag birthday party at Combat City? E Mail [email protected] now to check dates and availability or call 0141 641 0222. Dundee Laser Tag Birthday Parties – Get your game on now!